Chilindron is one of my favorite dishes, and it is so versatile that it stands outside the normal categories of venison, upland birds, etc. Chilindron (chill-in-DRONE) is a Spanish stew dominated by roasted red peppers, paprika and onions. Most recipes also call for rosemary, olive oil, garlic, some tomatoes, good stock and wine. , but I’ve since read about a dozen other recipes for this classic in other Spanish cookbooks. 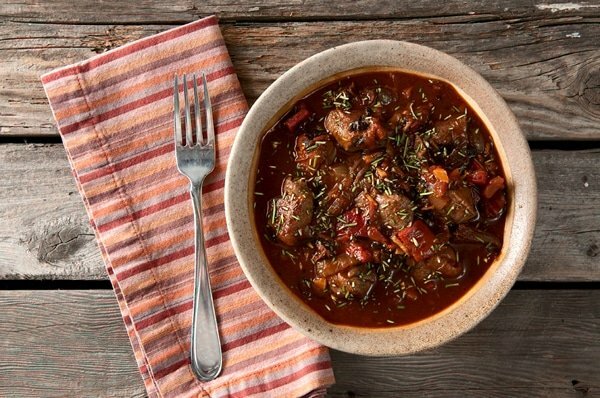 It is rich, woodsy, and bright, a perfect combination of the “red food” many of us crave (spaghetti sauce, chili, etc – think about the colors in your favorite foods and you’ll find many of them are reddish) with the slightly austere, piney flavors that mark European wild game cooking. I make this stew every few weeks I love it so much; it is one of the few “standards” I will repeat on a regular basis. As for what meat to use, the Spanish will typically make this with lamb or chicken. Even this hints at the range this stew possesses. I have made chilindron with good results from chicken, pheasant, rabbit, beef, venison and antelope, wild boar and pork. There is no reason you cannot toss in whatever you like. I suppose you could even make a vegetarian version with mushrooms. When switching from light to dark meat, switch from white to red wine, too. Other than that, I use this basic recipe. 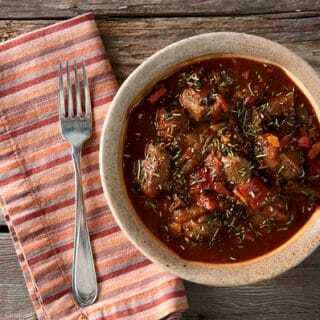 A versatile Spanish stew that can use any meat. It is dominated by paprika, roasted red peppers, and onions. You can also add rosemary and wild mushrooms, too. Right before serving, test for salt and add some if needed. Add black pepper and the parsley and stir well. Serve with mashed potatoes, rice, polenta or bread. Simple sauteed greens are a good accompaniment. A big red wine is also a must, ideally something Spanish, like a Rioja. 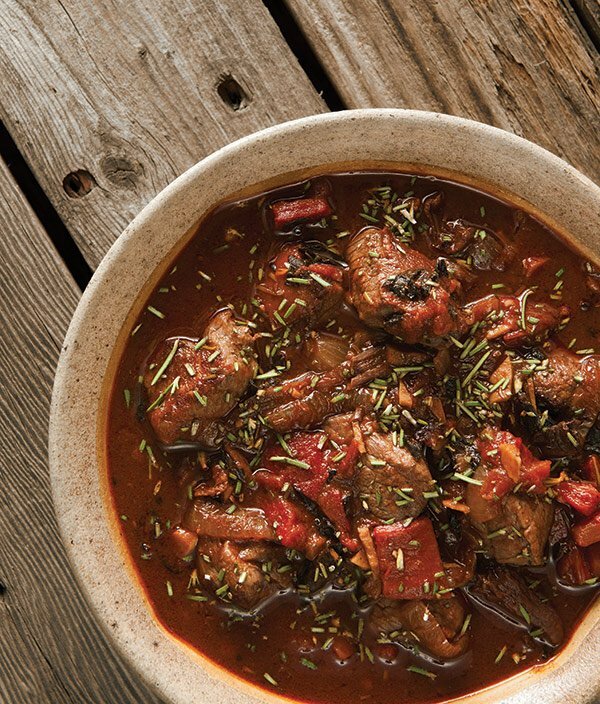 You can find recipes for every sort of wild game you can imagine, from venison to ducks, squirrels to pheasants and turkeys, right here on Hunter Angler Gardener Cook! Cynthia: This is a good use for a groundhog! Made this for the first time with a venison roast and a venison steak cut up. It was absolutely delicious. I was a little afraid of the amount of paprika at first, I left out the hot paprika, but it was subtle. I also cut back on the onion and garlic, but that’s just my taste preference. Definitely adding this to the favorites list! This recipe was divine! Exceedingly rich in mouth-feel and in the belly. And by chance, I happened to have a wonderful Ty Caton Petite Verdot that paired perfectly with this decadent meal. Second time I’ve used venison in preparing a meal, and third time for eating venison. Far and away this exceeded expectations. 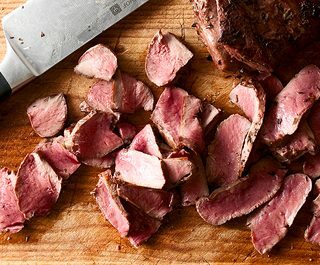 Looking forward to trying some of your other venison recipes. Fantastic. I used only hot paprika, and it was spicy but not overpowering. I also added in two cups of white beans at the end to make this a “one pot dish.” It worked perfectly. For the meat, we used a boneless leg roast off of a white tail. I braised it for about five hours at 350-degree in a cast iron pot. Awesome recipe.